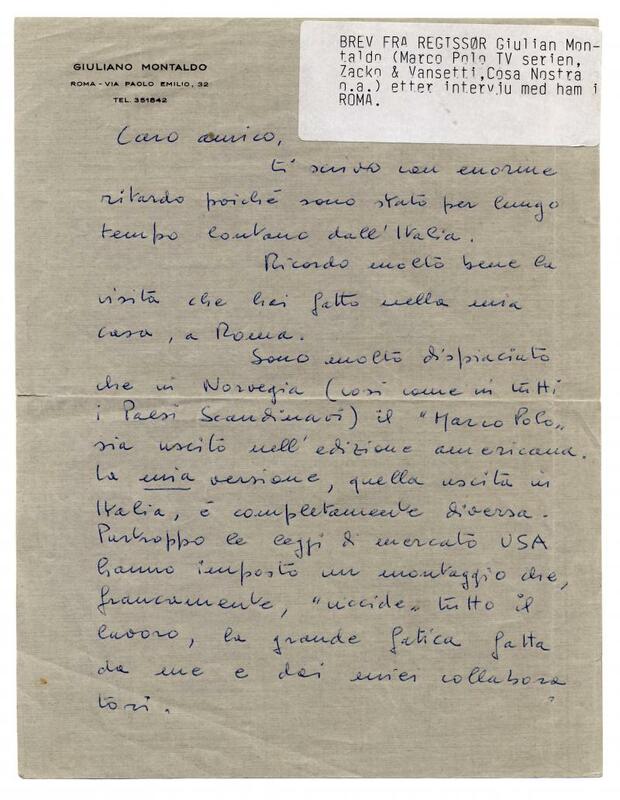 Handwritten letter from Giuliano Montaldo to Harald Jan Dahle below. 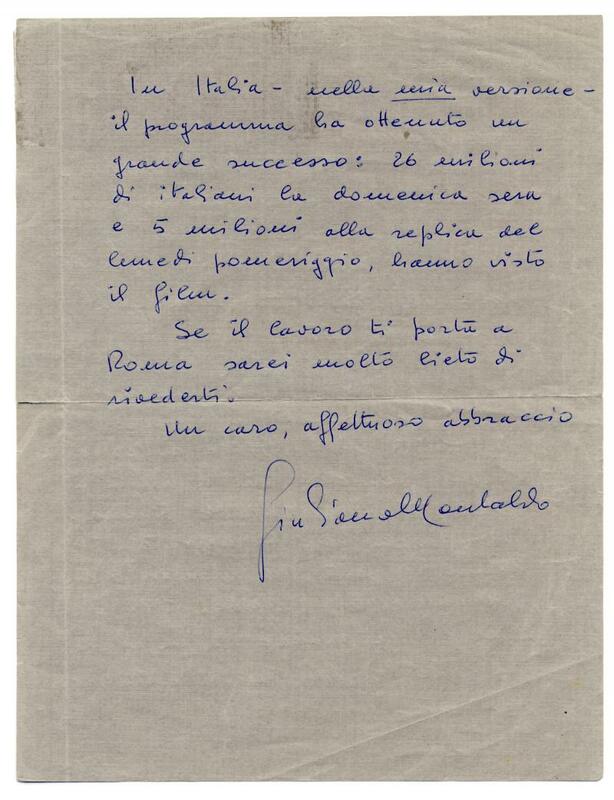 Click on the letter and see Montaldo's important film "Zacco & Vanzetti", the United States against the two Italian imigrants accused of robbery and murder. 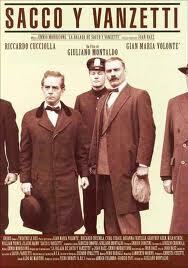 The case that shook the entire world! 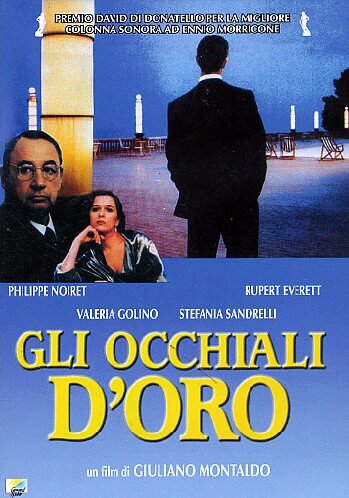 I met with Dino Risi in Roma, November 1977. 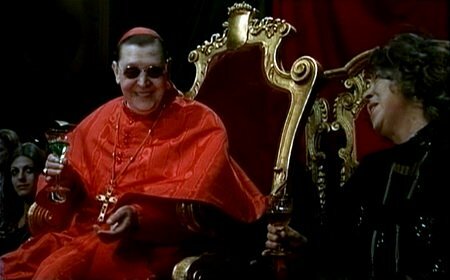 He was the most generous man and was open and helpful. 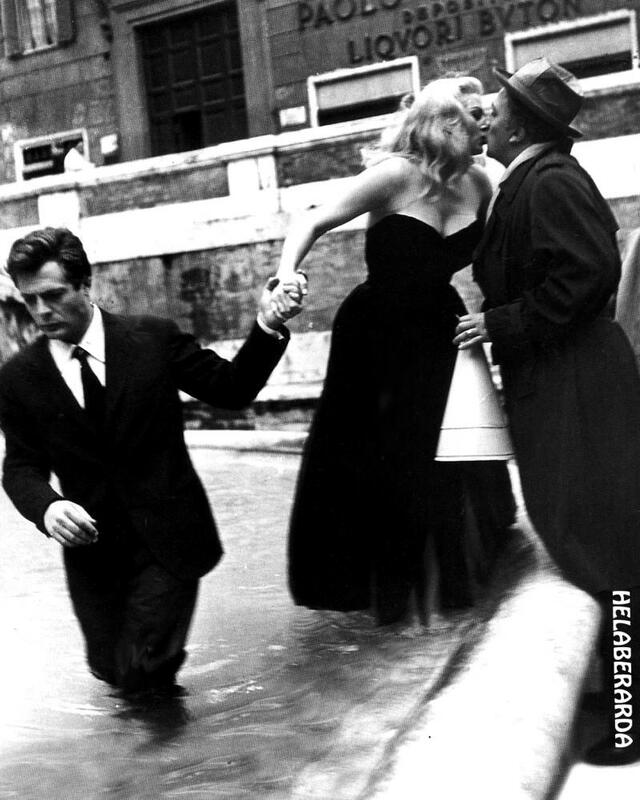 I came from far north and had come to Rome to write about film and culture. 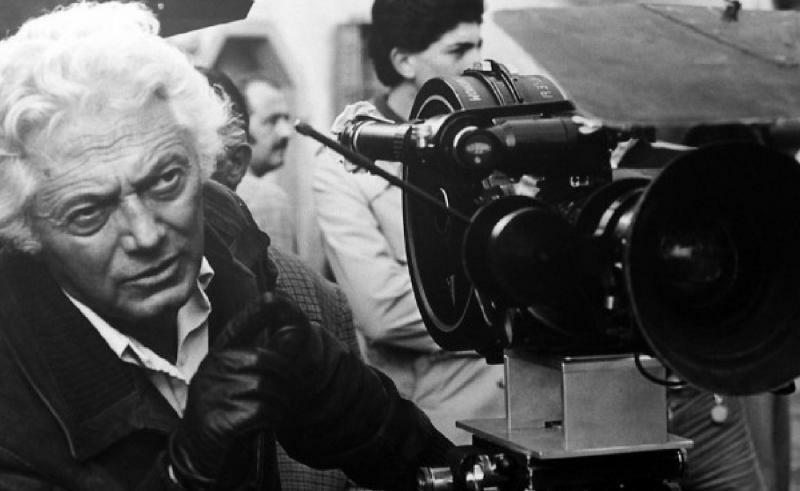 Dino Risi was highly respected and very intelligent. 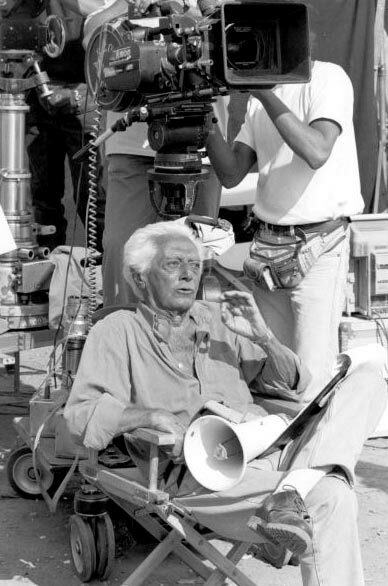 Dino Risi (23 December 1916 – 7 June 2008) was an Italian film director. 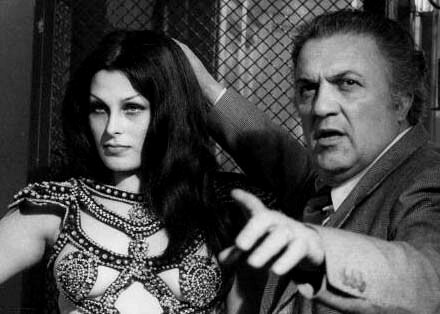 With Mario Monicelli, Luigi Comencini, Nanni Loy and Ettore Scola, he was one of the masters of Commedia all'italiana. 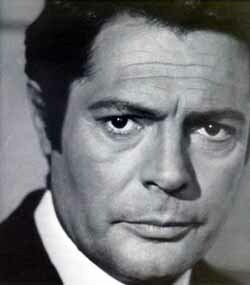 He was born in Milan. 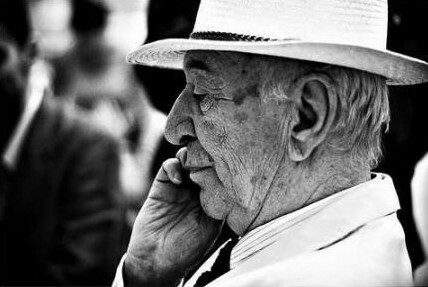 Has two brothers, an older brother Fernando Risi a cinema- tographer and a younger brother, Nelo Risi a director and writer. 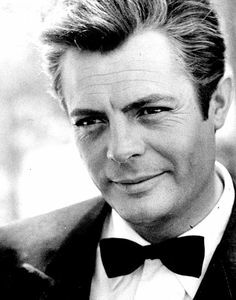 ﻿His biggest hits were Poor, But Handsome (Poveri ma belli), followed by two sequels, which he also directed; A Difficult Life (Una vita difficile); The Easy Life (Il sorpasso); Opiate '67 or, in a cut version, 15 From Rome (I Mostri); and Scent Of A Woman (Profumo di Donna), which was remade by Martin Brest starring Al Pacino in 1992. 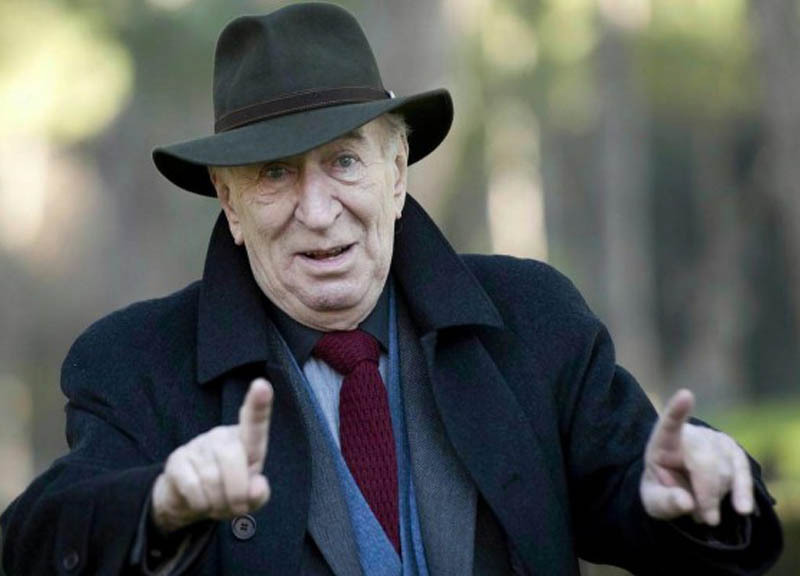 In 2002, he was awarded the Golden Lion – Honorary Award Leone d'oro alla carriera at the Venice Film Festival for his life-time work. 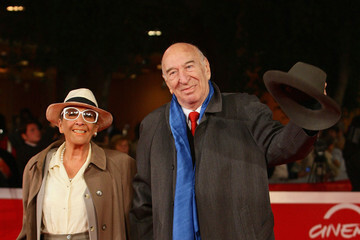 Two of his films, Il giovedì and Il commissario Lo Gatto, were shown in a retrospective section on Italian comedy at the 67th Venice International Film Festival. 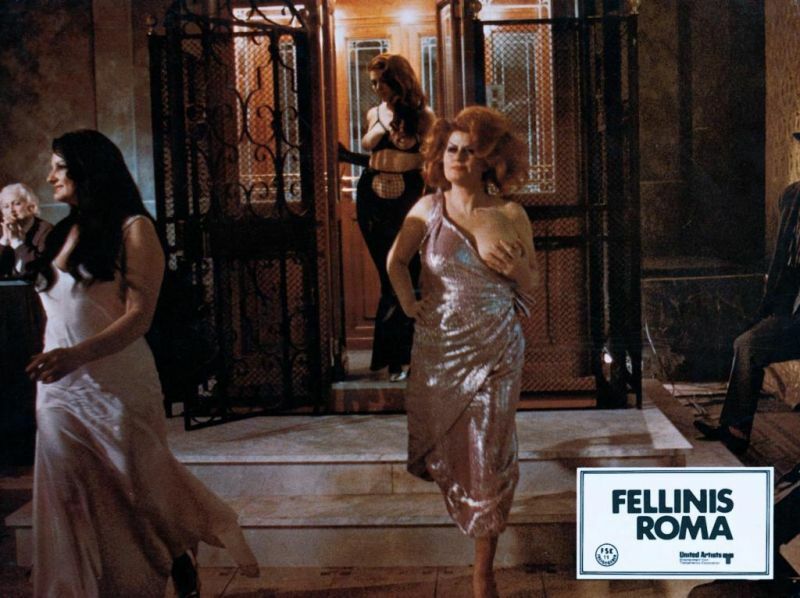 The 40 Year Aniversary of Cinecitta Film Studios Rome, Italy. 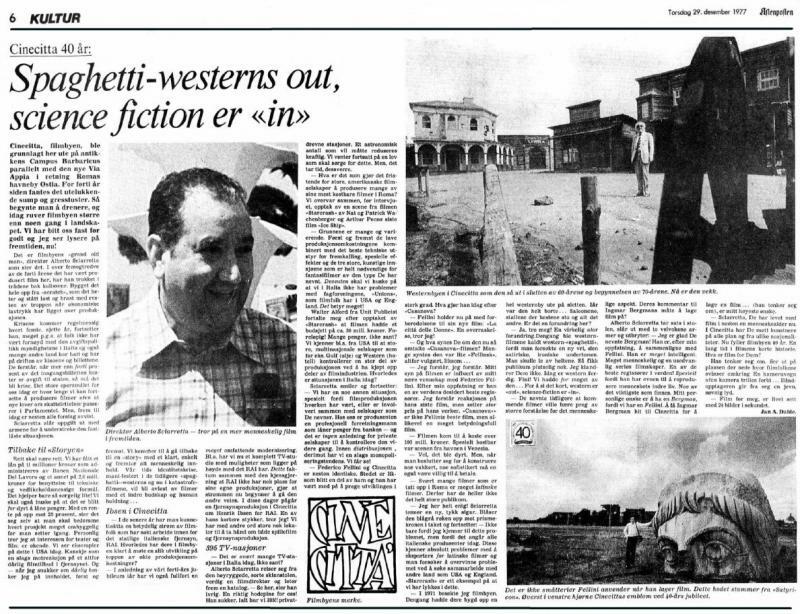 In 1977 I visited Cinecitta and met with Business Director Alberto Sciarretta. These are some of the impressions from that important meeting. 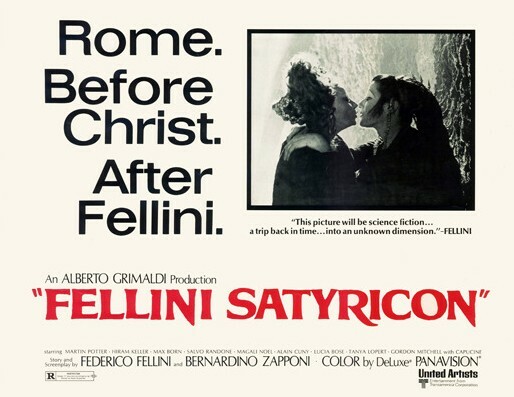 With great appreciation and thanks to the managment of Cinecitta Studios and Cinecitta office in Rome. 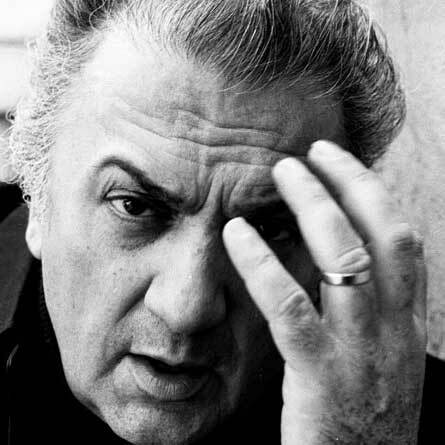 Federico Fellini (January 20, 1920 – October 31 1993) was an Italian film director and scriptwriter. 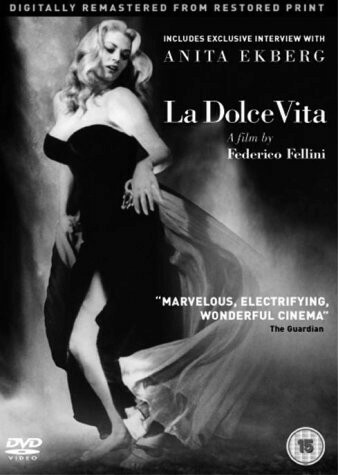 Known for his distinct style that blends fantasy and baroque images with earthiness, he is considered one of the greatest and most influential filmmakers of the 20th century. 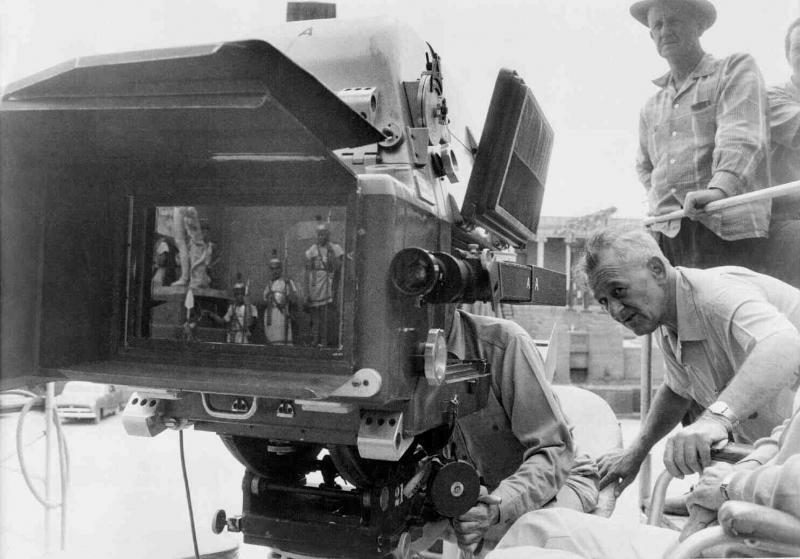 Bellow, the Genius at work. 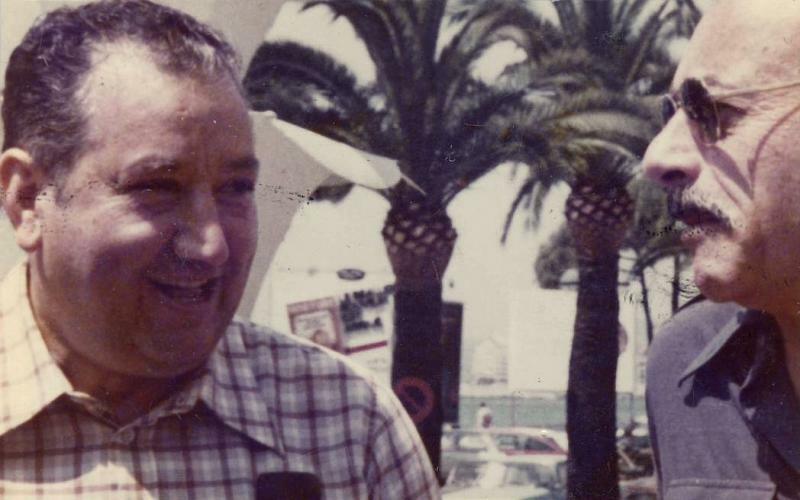 Alberto Sciarretta, business director for the Cinecitta Studios, Rome to the left, with Mr. John Capes from Technicolor at the Cannes Film Festival in 1975. 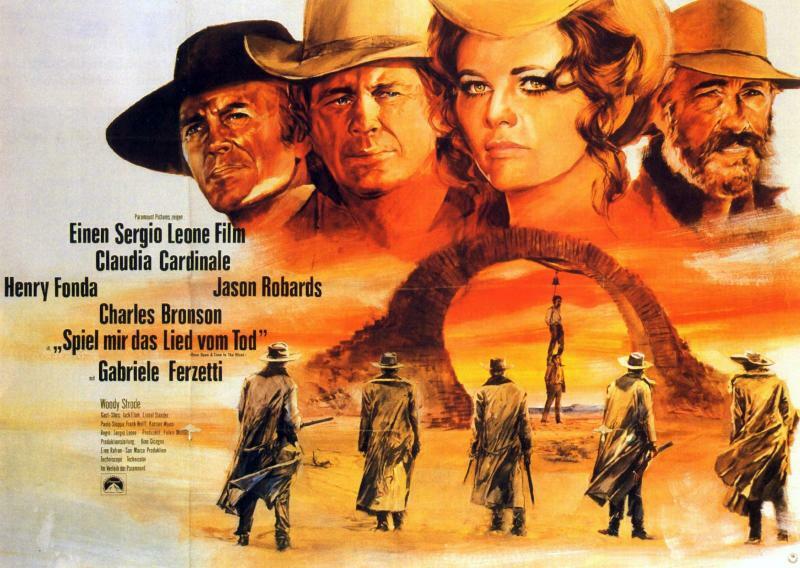 The picture was given to me by Alberto Sciarretta in 1977 after I interviewed him in his office in Cinecitta. 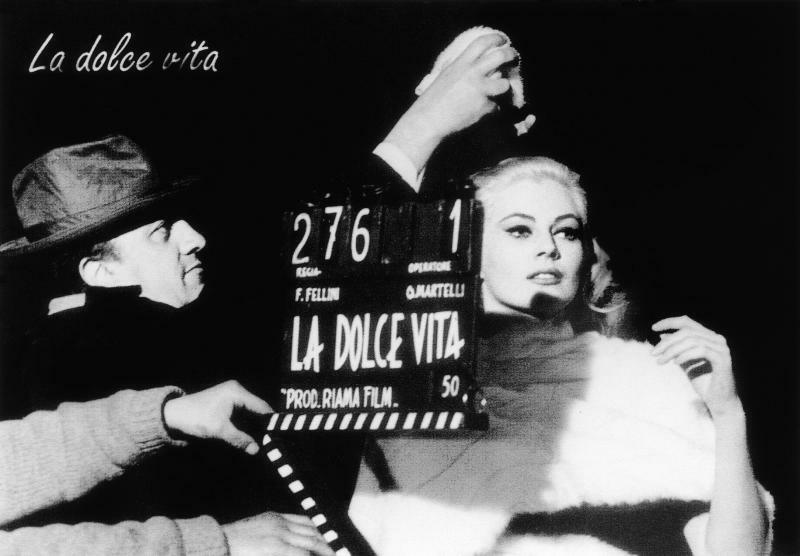 He also took me for a tour in the Cinecitta film lab and studios. 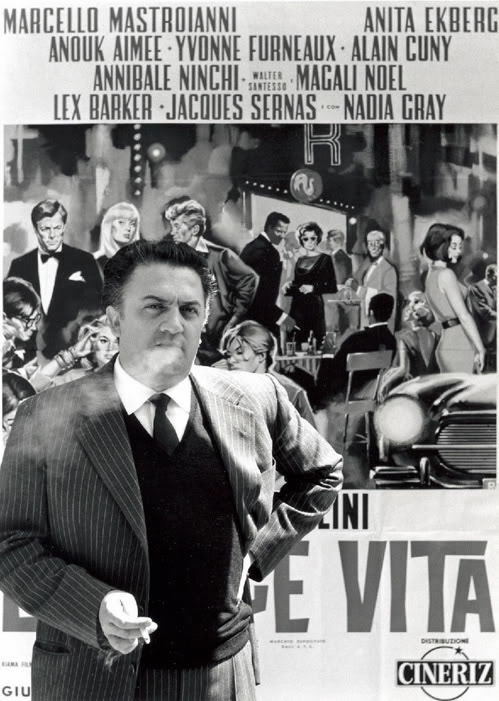 Sciarretta was a very enthusiastic and dynamic person who had a clear vision for the future of Cinecitta film studios and it's productions. 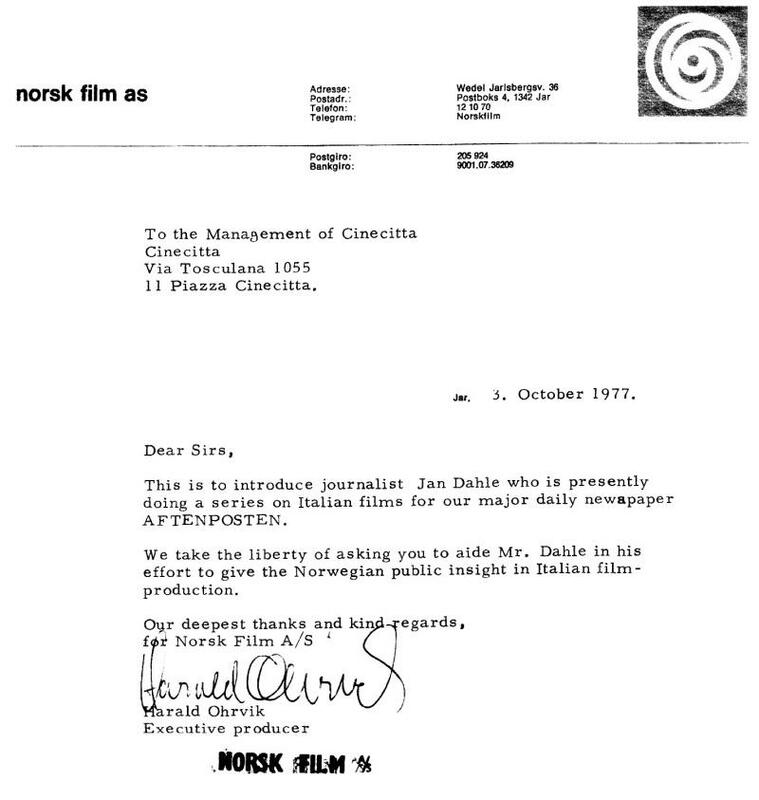 Harald Jan Dahle article from Cinecitta was printed less than a month after he returned to Oslo. 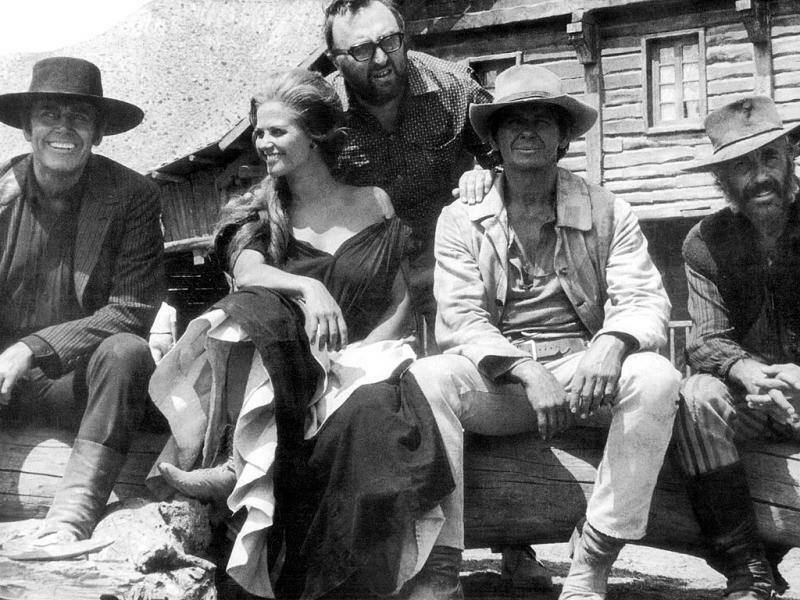 Bellow, left to right, Henry Fonda, Claudio Cardinale, Charles Bronson,Jason Robards﻿. 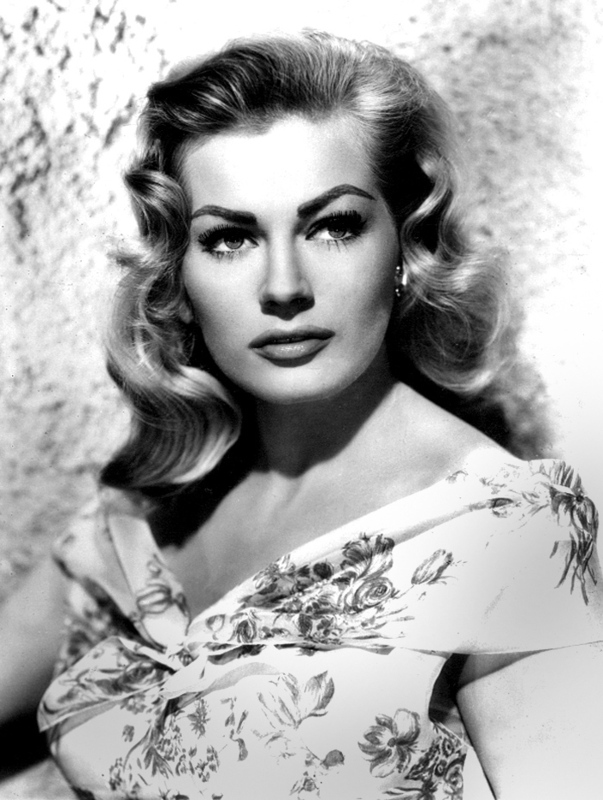 And a farewell to the Western Spaghetti era! 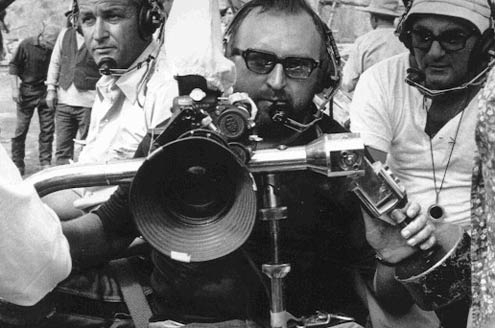 First picture bellow: Director Sergio Leone during filming of "Once upon a time in the West". 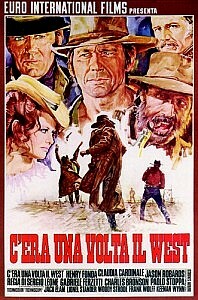 Second picture bellow: Starring Henry Fonda to the left with the gun in his right hand. 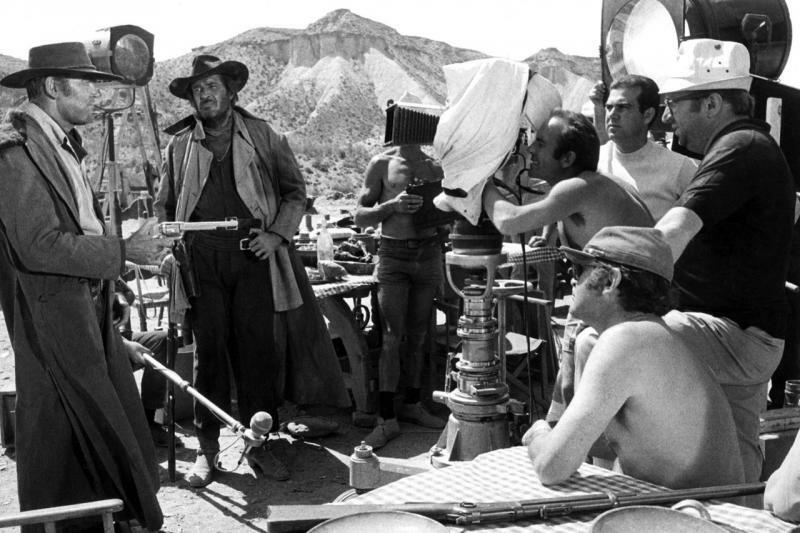 Director Sergio Leone to the right with white hat. 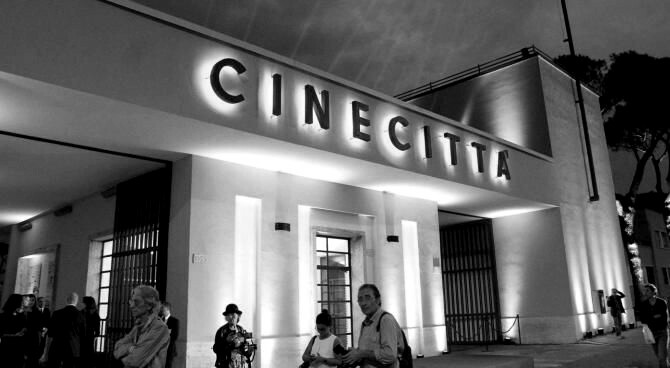 The Cinecitta film studios 40 years Aniversary: My article from Cinecitta Studios Rome. 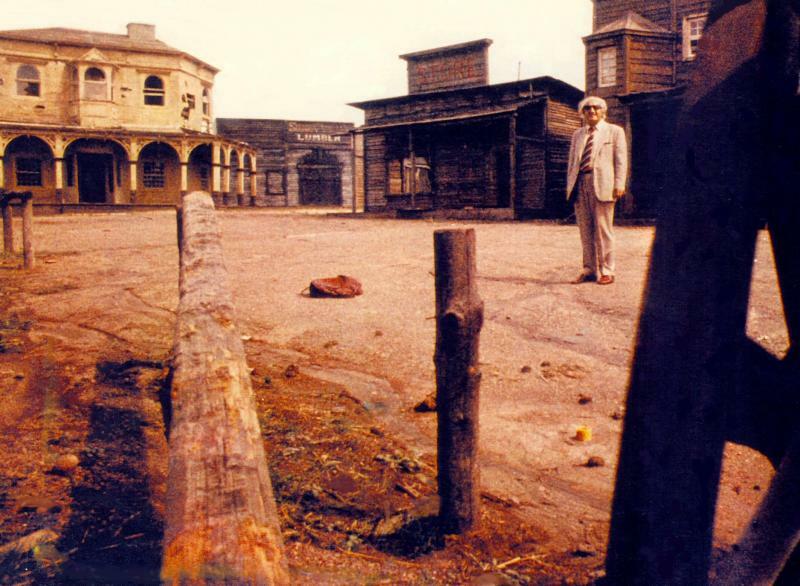 Photo bellow: This was one of the last film sets from the Sergio Leone Western Spaghetti area that was still standing in Cinecitta. 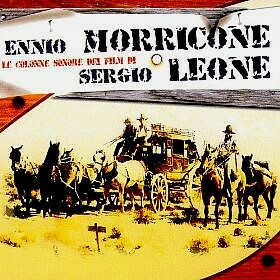 At the time of 1977 people was gradually losing interest in Western Spaghetti films which created the birth of the sciense fantasy movies. 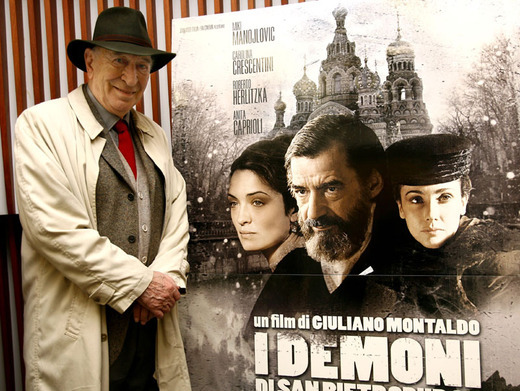 The man in the picture is an Australian who sat in the refugee camp inside Cinecitta during WW2. He came to visit the old place, to see it once more. 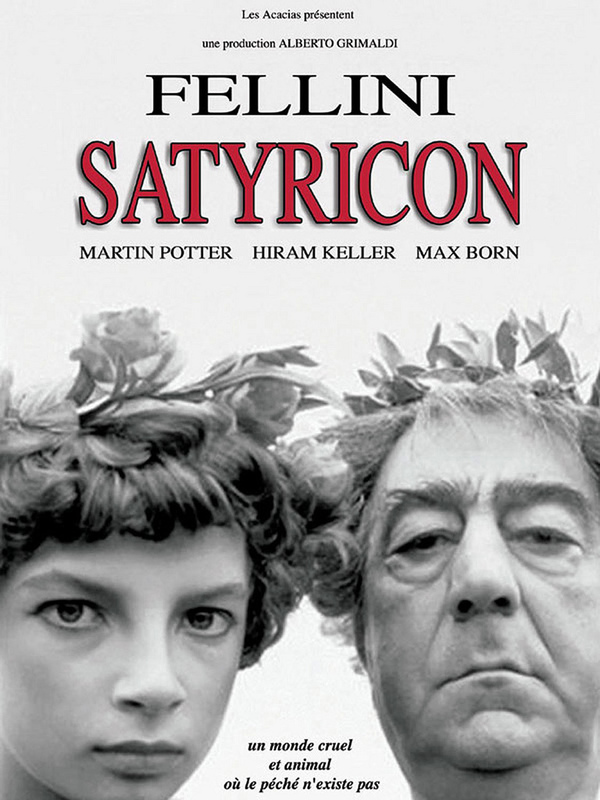 Picture bellow: By Jan Dahle Cinecitta November 1977: Jan Dahle is holding on to the big antique head that was used in Federico Fellinis film epos "Satyricon". 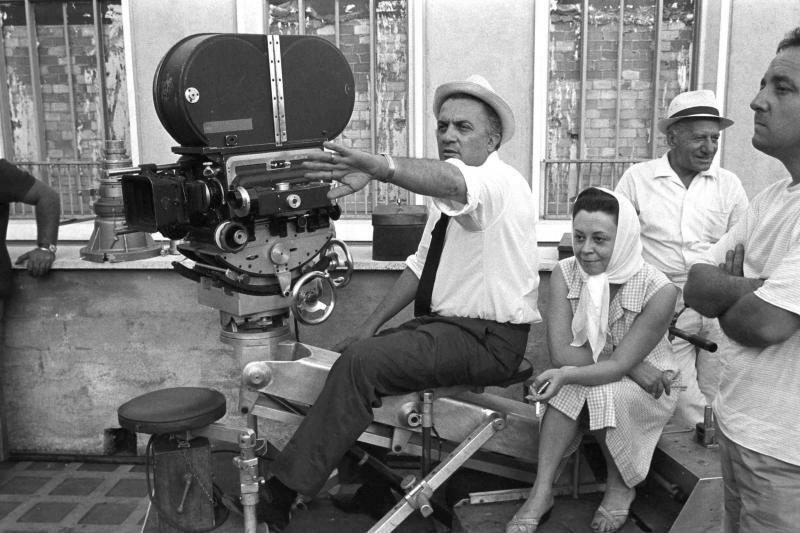 Far behind is the back side of the set for another of Federico Fellini's films, his love for his own city "Roma". 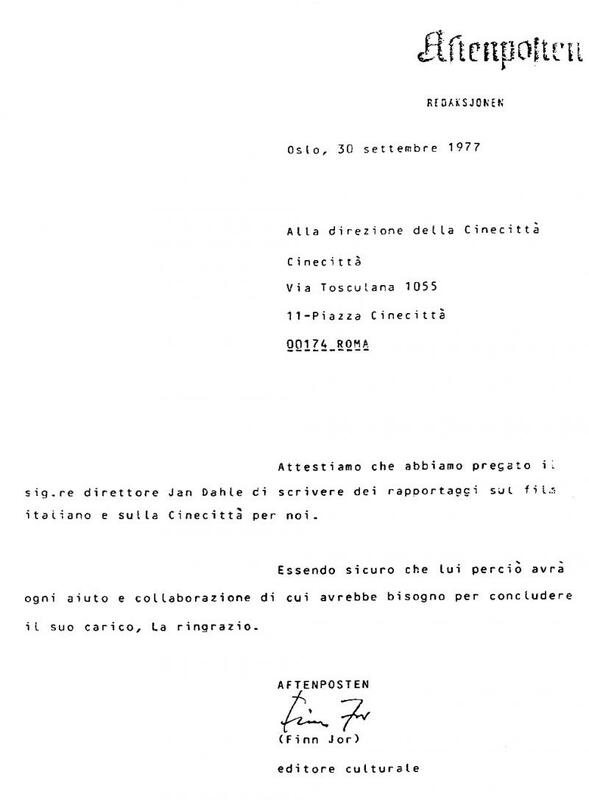 The visit of Jan Dahle was timed to the occation of the 40 year Aniversary of the famous Cinecitta Film Studios outside Rome.﻿﻿ "STAR CRASH"!! 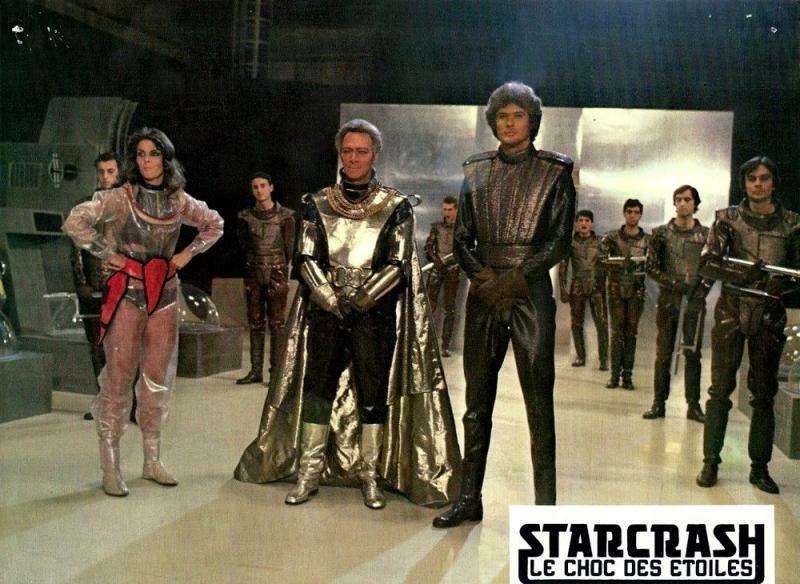 Cinecitta-made ﻿The 1978 sci-fi hit, starring Caroline Munro as "Stella Star" with Marjoe Gortner, David Hasselhoff, Robert Tessier, Judd Hamilton, Nadia Cassini, Christopher Plummer and Joe Spinell. 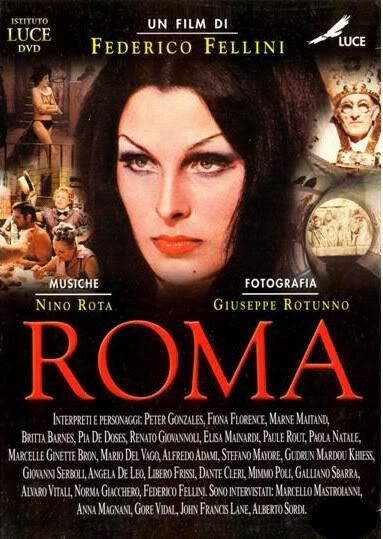 I was there on the set and met with Caroline Munro and David Hasselhof. 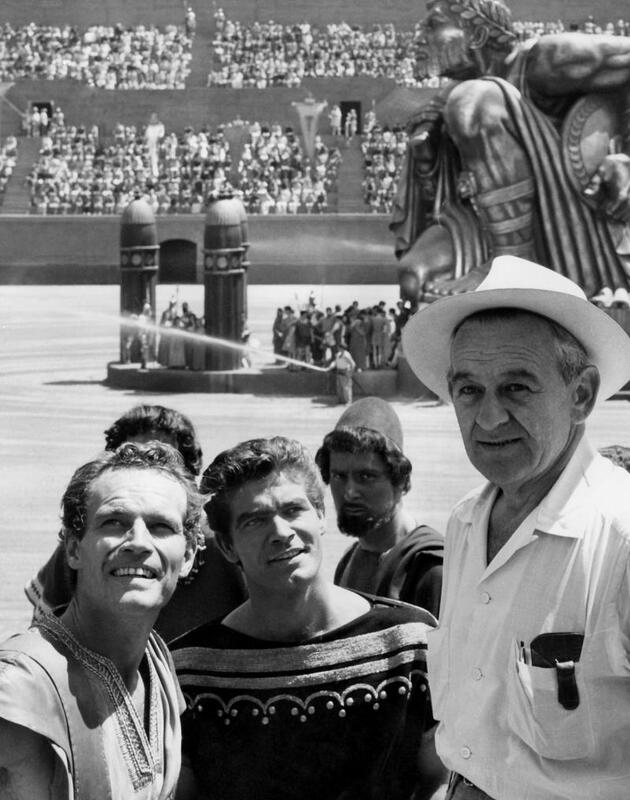 From left to right, lead actor Charlton Heston, who gives an unforgettable performance playing Ben-Hur, actor Stephen Boyd playing the revengeful Roman officer Messala, with film director William Wyler wearing a white Stetson hat for the occation to fade off the bright Italian sunshine. 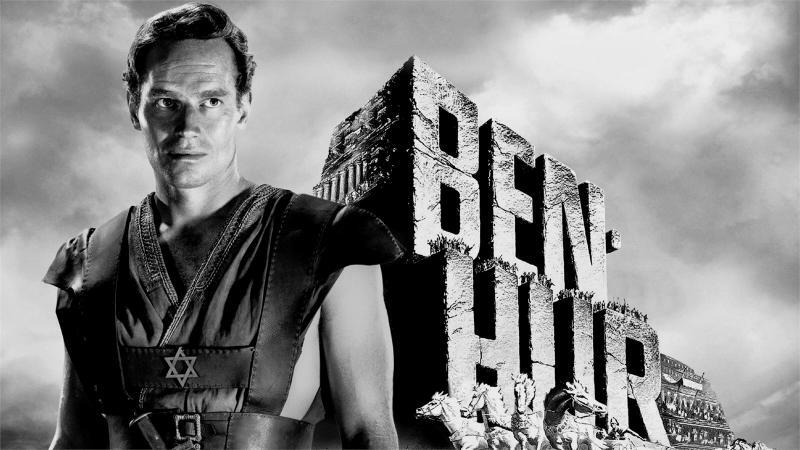 The movie is a 1959 American epic historical drama film, directed by William Wyler, produced by Sam Zimbalist for Metro-Goldwyn-Mayer and starring Charlton Heston, Stephen Boyd, Jack Hawkins, Hugh Griffith and Haya Harareet. 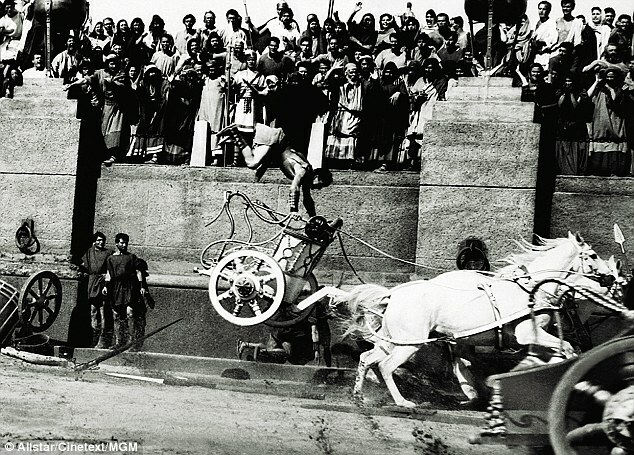 A remake of the 1925 silent film with the same name, Ben-Hur was adapted from Lew Wallace's 1880 novel Ben-Hur: A Tale of the Christ. 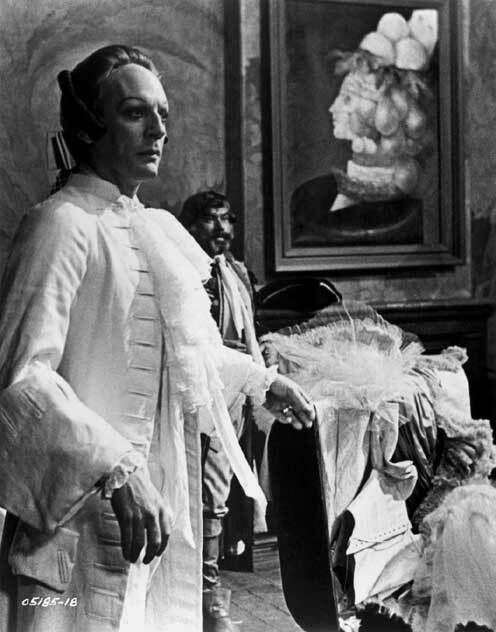 The screenplay is credited to Karl Tunberg but includes contributions from Maxwell Anderson, S. N. Behrman, Gore Vidal, and Christopher Fry. 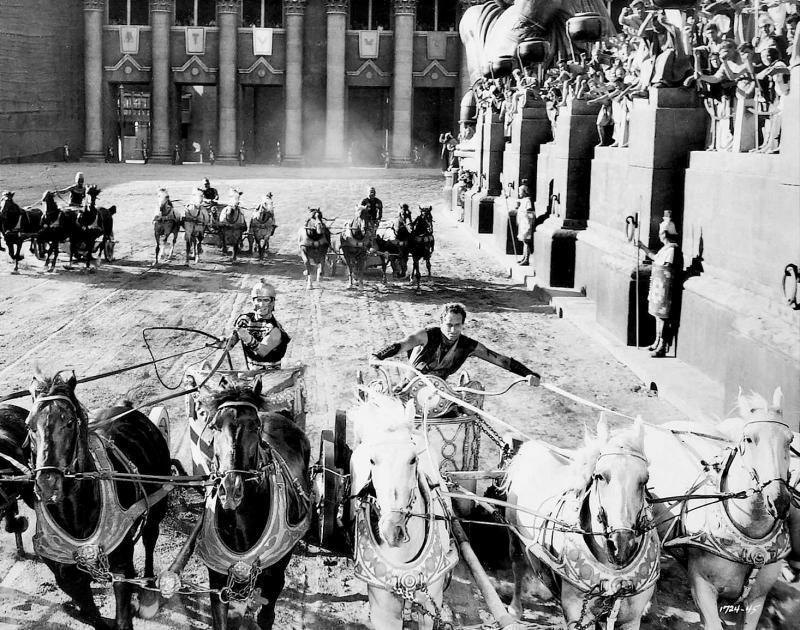 Since the days of Ben-Hur, the studios have welcomed international productions including Helen of Troy (1956), Francis of Assisi (1961), Cleopatra (1963), The Agony and the Ecstasy (1965), Fellini's Casanova (1976), Zeffirelli's Romeo and Juliet (1968), La Traviata (1982) and many other grand film productions. 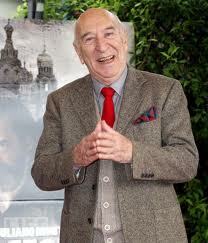 Recent films include Martin Scorsese's Gangs of New York and Wes Anderson's The Life Aquatic with Steve Zissou. 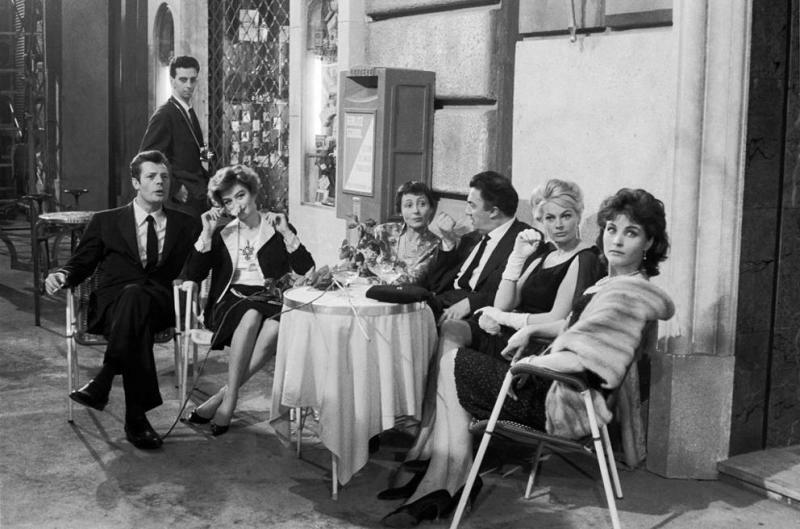 Cinecittà also hosts TV productions, such as Grande Fratello, the Italian version of Big Brother, where the Big Brother house is built on Cinecittà's premises. 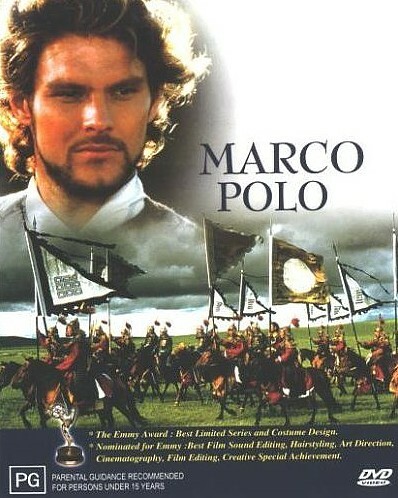 It has also been home to the filming of The Passion of the Christ, starring James Caviezel and directed by Mel Gibson.